From February 5 onwards, 2019 is the Year of the Pig. The twelfth and final animal of the Chinese zodiac calendar, the Pig is considered a sign of fortune and wealth. Those lucky enough to be born under its auspices are said to possess a good balance between treating themselves and enjoying life, while not wasting their wealth. 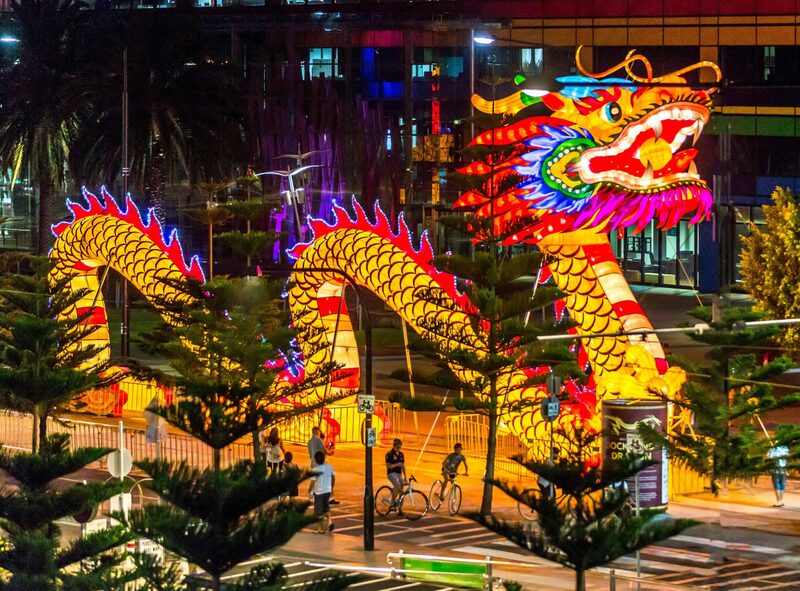 On this note, here are some of the top activities to tick off your list this Chinese New Year – after all, if you’re going to celebrate the Year of the Pig, why not get the best experience for your money? Is there a better way to celebrate the Year of the Pig than by going and seeing some for yourself? We don’t think so. There are over 50 pigs at the Singapore Zoo and Night Safari, including the bizarre babirusa, Pumba-esque warthogs, red river hogs, and Malayan bearded pigs. Exclusively during this Chinese New Year period, Singapore Zoo is offering its guests the chance to get up close and personal with this year’s zodiac sign in a range of themed activities. How about meeting some adorable tiny pigs? The Mini Pig Exhibit on between February 5-10 is the place for you. Avid young learners can also learn more about these surprisingly intelligent (and did we mention adorable?) creatures at the Trot Truths Booth, featuring plenty of fun and surprising pig facts. After paying your porcine respects, consider checking out the rest of the zoo’s other wonderful inhabitants: white tigers, orangutans, lions, cheetahs, otters – they’re all there! Offering more than just a regular zoo, you can also experience the Rainforest Lumina – a unique multi-sensory night walk featuring some stunning special effects. There’s something here for everyone, even for those who don’t necessarily want to meet a pig up close and personal. Worried about crowds in Hong Kong during the holiday period? To cope with additional visitors during the Chinese New Year season, Ngong Ping 360 is extending its opening hours between 5-15 February, allowing you to experience what has been voted as one of the world’s 10 most amazing cable car experiences. This cable car ride on Lantau Island is one of the most stunning in the world, letting visitors soar over misty mountainsides under the watchful gaze of a gigantic Buddha statue. Particularly daring sightseers can opt for a Crystal Cabin: a cable car featuring a see-through glass floor. Travelers looking for a spiritual experience can also go on the 360 Buddhist Walk: a miniature pilgrimage along the aptly named Wisdom Path, including a firsthand look inside of a Buddhist monastery. The scenic fishing village of Tai O can also be visited as part of your trip, with its traditional stilt houses and local industry giving you a unique insight into rural Chinese life. See for yourself why there are so many heritage-graded buildings in this little fishing town! The Macau Tower is among the tallest towers in the world, making it the perfect vantage point from which to view one of the best fireworks displays on the planet. China is known for its spectacular fireworks, and Macau’s New Year celebration is no exception to this rule. The tower also has a range of special Chinese New Year events and activities, including photo booths, a Chinese New Year feast, and more. Before the fireworks start, you can treat yourself to some delicious festive desserts from the special temporary menu. While enjoying your celebratory dessert, feel free to gaze out over the Macau Peninsula through three-story panoramic windows and check out Taipa, Coloane, and the nearby Pearl River Delta skyline. No matter where you go this Chinese New Year, enjoy your trip, and 新年好/Xīnnián hǎo from all of us here at Tiqets! See where else you can visit in China with Tiqets or read the blog for more travel inspiration!